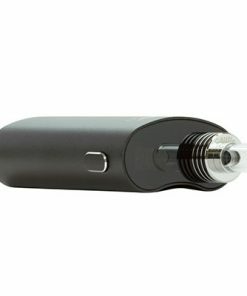 Linx Hypnos Zero Concentrate Vaporizer | Perfect For CBD and Dabs! 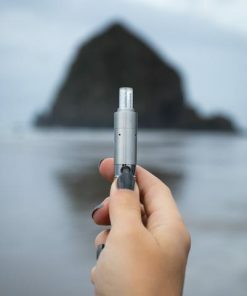 The Linx Hypnos Zero concentrate vaporizer is one of Rocky Shore’s best working, discreet and beautifully designed concentrate vapes out there. 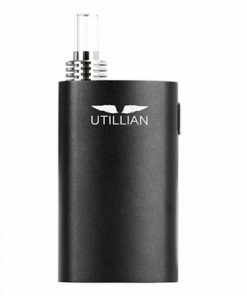 Perfect for CBD and dabs with its unique ceramic, coil-less oven. This little guy won’t disappoint with it’s stealthy profile. It’s easy to load too! 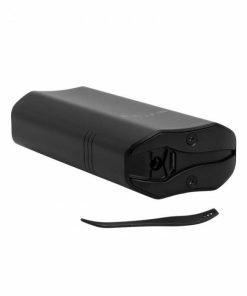 Designed in California by Linx Vapor, the Linx Hypnos Zero is one of the best working, discreet and beautifully designed concentrate vaporizers out there. 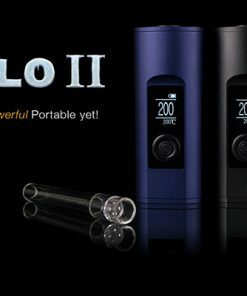 The coil-less, all-ceramic, vented heating chamber design of the Hypnos Zero means that heater life is extended and fantastic vapor quality from your best concentrates is assured. 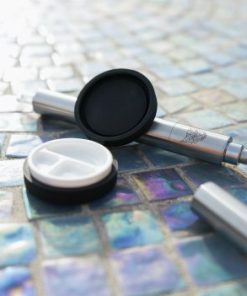 There is little to no waste as virtually every drop of your precious concentrate is converted to heavenly vapour using one of four temperature settings. 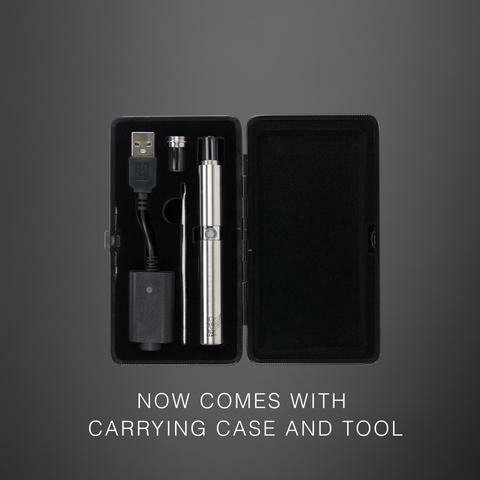 Like other Linx products, the device is constructed of high quality, medical-grade stainless steel, giving it inherent durability and fantastic looks. 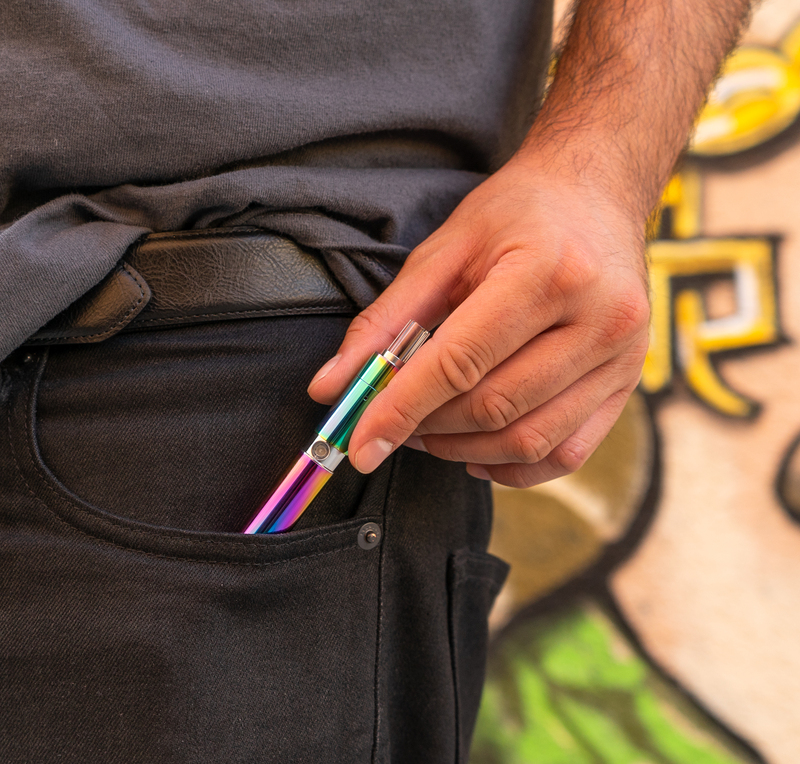 The Hypnos Zero measures barely over 4″ long and is only 3/8″ or so in diameter! 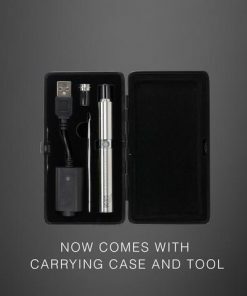 It is a thing of rare beauty, and the whole kit fits into the sleek and durable carrying case. Linx scored a touchdown with the Hypnos Zero! 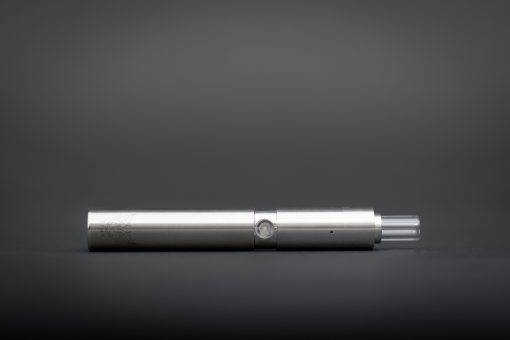 Like all of the Linx products, the Hypnos is machined from the highest quality materials, including a polished, medical-grade stainless steel body, glass mouthpiece and ceramic atomizer. 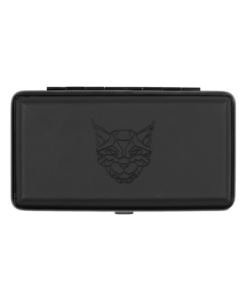 The fit and finish of this unit is way above par, and the standard of quality is marked by the Linx logo near the bottom of the device. 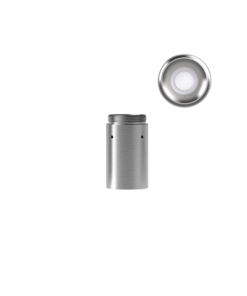 The heating chamber is entirely ceramic, and is sort of a cup with a ceramic nail in the center. 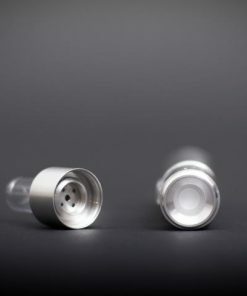 There are no exposed coils or wick making for a superior experience and the clean up of any reclaim much easier, if there is anything left at all; the Hypnos Zero does a fantastic job of using up virtually all of your concentrate. The vapor quality from the Zero is outstanding. 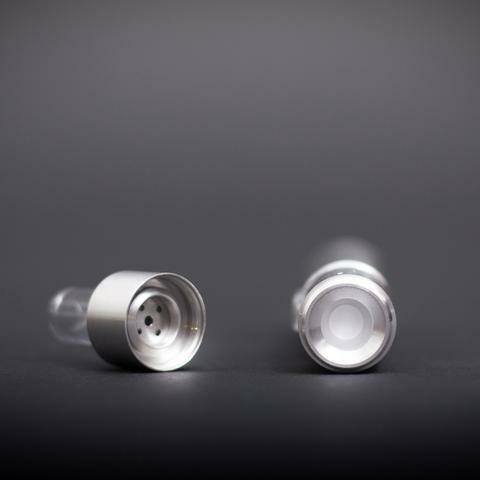 Air flow is provided directly to the heating chamber through 4 small holes in the stainless steel body that penetrate into the top portion of ceramic chamber, just above your concentrate. The overall effect is to impart Zero flavour contamination to the extract, and superior cloud production. It works great! The Linx Hypnos is very straight forward in its functionality. 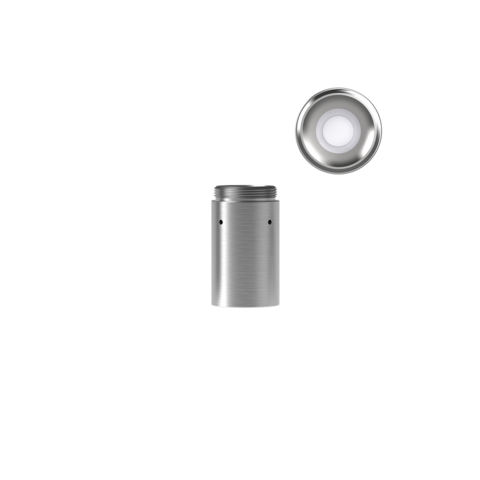 To turn it on press the power button 5 times within 2 – 3 seconds. To change between temperatures simply click the power button 3 times, the button will change color to correspond with the 4 temperature settings. 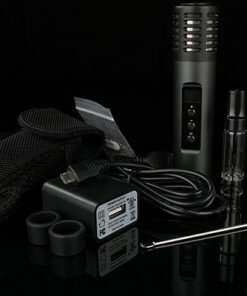 Next load the atomizer with your concentrate, screw the mouthpiece on and press & hold the power button to start enjoying your vapor. 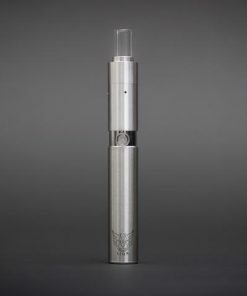 The Linx Hypnos Is An Awesome CBD Vape Pen Too! Most people don’t know that the way in which you deliver CBD can drastically alter its effective dosage. During vaporization, CBD enters your lungs and diffuses directly into your bloodstream while ingestion requires the CBD to pass through your digestive system and liver before it reaches your blood. Vaping can facilitate greater absorption for increased bioavailability levels in your body. 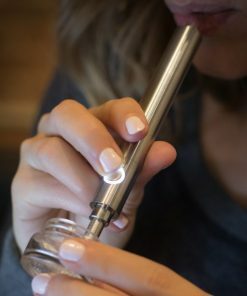 It doesn’t make it any stronger, but it means you can achieve the same beneficial effects with vaping while using a smaller amount of CBD concentrate. Not only that, but the Linx Hypnos Wax Pen Kit will greatly decrease the amount of time it takes for the CBD in your body to become active, since you don’t have to wait for it to travel through your digestive system. By vaporizing a CBD e-liquid or concentrate, you could potentially feel its effects sooner. 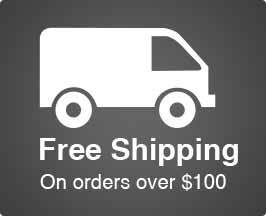 This makes vaping CBD an extremely efficient delivery method. Not to mention being able to administer your medication discreetly anytime or any where. 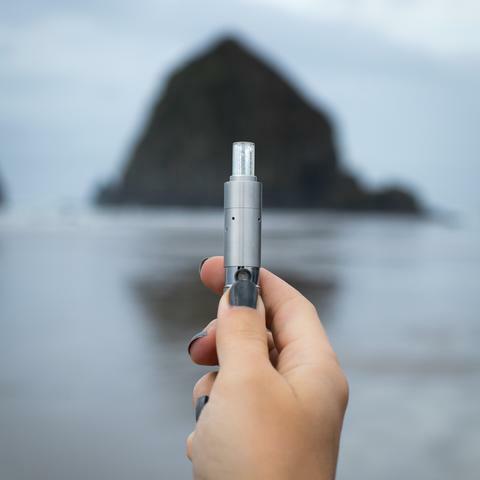 As a leader in the vape community and a believer in the health effects of CBD, Rocky Shore openly encourages you to do your research on the concentrate you intend to consume. There is not a lot of regulation or oversight currently in the emerging concentrate industry and few producers are able to guarantee a consistent analysis on their labels. Be sure to ask a lot of questions and ensure you’re getting a quality product from your chosen source! 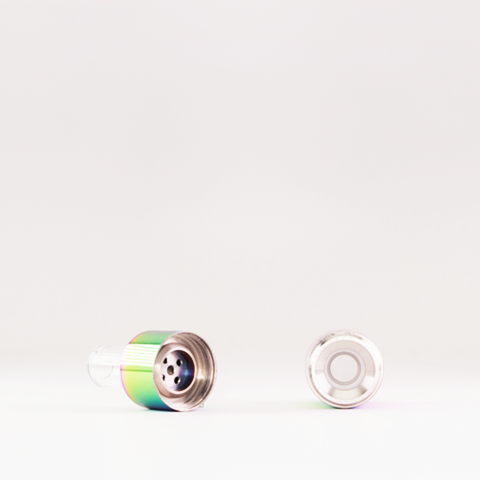 What Makes the Linx Hypnos Zero Stand Out? 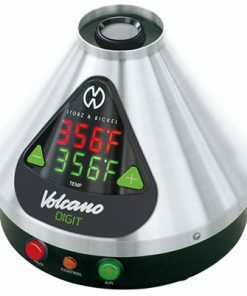 With 4 temperature settings to customize your session, the lower 2 temperature settings focus more on flavour, while the 2 higher settings will give you bigger clouds. The colour of the power button will change to indicate your current temperature with blue being the lowest setting followed by green, yellow and red being the highest temperature. 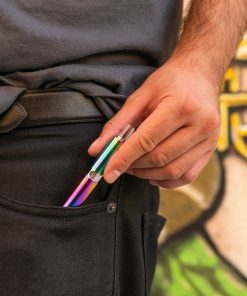 Most wax pens don’t have this range of temperature flexibility and others provide fewer temperature settings. We strongly feel the 4th setting gives you more flexibility to find your perfect quality of vapor. This is why we like the Linx Hypnos so much! The quality of vapor from the Linx Hypnos Zero is impressive to say the least. Check out our review here! 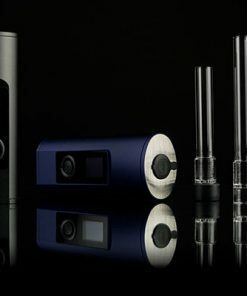 The unit features an all-ceramic heating chamber with a ceramic, doughnut-style atomizer which produces more flavour rather than big clouds and is superior to any coiled devices we’ve tried. If you are looking for a straw-type extract vaporizer, check out the Linx Ares Honey Straw. Traditionally doughnut atomizers heat a ceramic doughnut that is located on the outside of the chamber while the middle of the doughnut remains cooler. 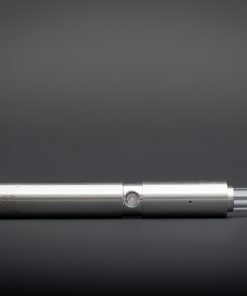 Linx has reversed this design moving the heating element to a nail that sticks a few millimeters higher than the rest of the trench. 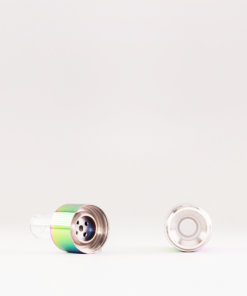 Your wax is melted by the middle heating element and pools around it in the “doughnut” part of the atomizer. Personally we found this setup much more efficient than the original doughnut setup and it resulted in a much more even cook. No coils to damage while loading and you can load this one with your finger with the shallow dish. This wax pen is gorgeous. 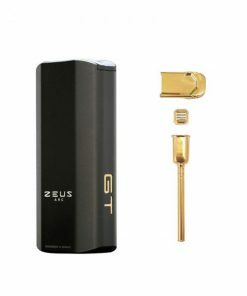 Besides the beautiful stainless steel finish, the mouthpiece is actually made out of glass which helps improve the flavour of your vapor and is easy to clean. 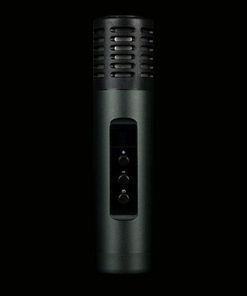 The Linx Hypnos Zero comes with 2 mouthpieces if you have a “spaz moment”, you get one more chance! And Rocky Shore carries replacements when you need them. 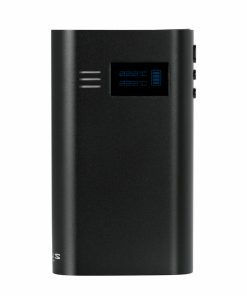 The Linx Hypnos Zero has a pretty average life for a wax pen, which is to be expected since it only sports a 650 mAH battery. From our testing it lasted for a little over a day of moderate vaping before needing to be recharged. This will vary depending on your personal preferences and heat settings of course. I found it lasted fine for an evening of heavier use while out with friends. 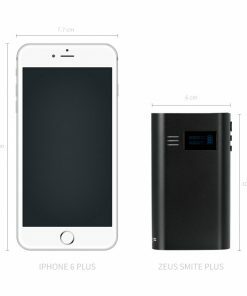 While we do wish the battery was a bit bigger, it would have ultimately added to the overall size of the device. 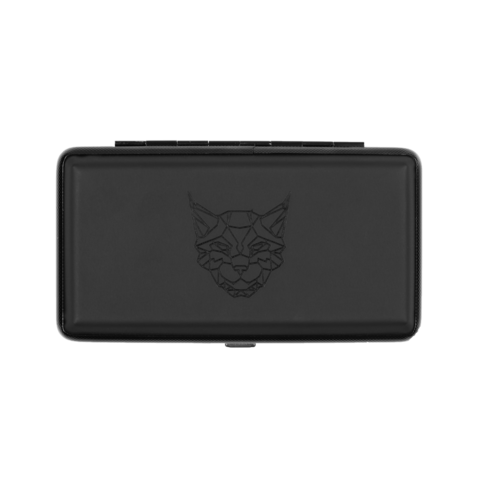 And we find this Linx unit to be the perfect size as it is, so if a bit of battery life has to suffer for a slimmer footprint, then count us in. The screw-on USB charger is small enough to stash in a pocket, and unless you are trapped in the desert, you will be happy with its performance between chargings. I love my new Linx Zero! 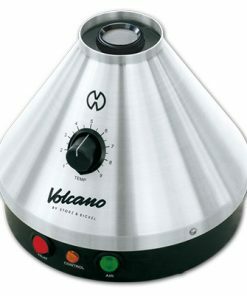 I’ve had my eye on this particular vaporizer for a while and decided to finally get one. This little guy is amazing. I can load my dabs with a finger and it’s perfect for sneaking hits on the chairlift. I don’t normally write reviews, but I am extremely impressed by how fast this got to me…like 3 days. Thanks Rocky Shore! Love this thing. My favourite way to vape. Excellent customer service. I highly recommend Rocky Shore! Haven’t used it yet but it sure is a nice unit. Comes in a real nice case too. Hoping it works as good as it looks.